Paris is foodie heaven. 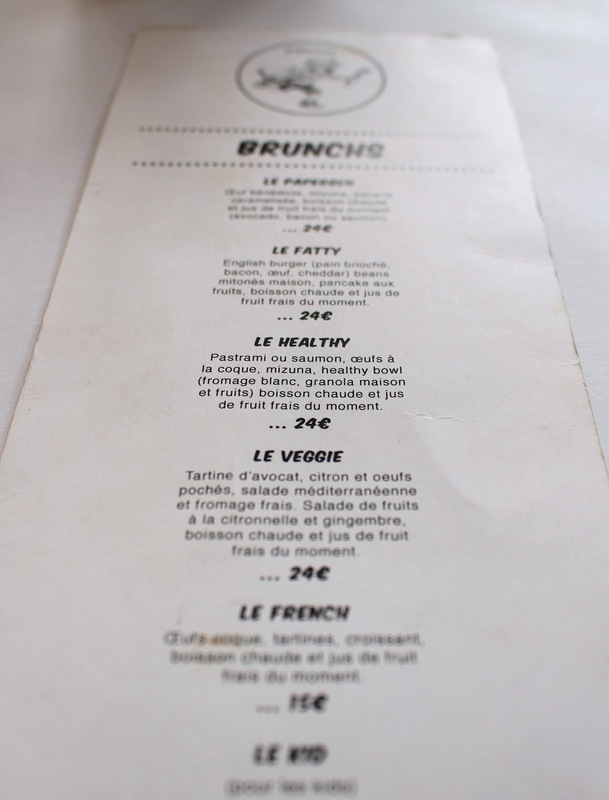 All throughout the day, you can find delicious kinds of food, from early breakfast to late night snacks, from French escargots to Japanese bento boxes, and from Australian flat whites to Mexican tacos.. you name it and you'll find it in Paris. That's what I love about big cities. On a beautiful sunny Sunday morning, we headed to Paperboy, where they serve an L.A. style brunch on weekends only. A quick check on Instagram (I use the 'places' search option more than anything!) showed us what we could expect at Paperboy: salmon bagels, eggs Benedict, iced lattes, avocado toast and Açaí bowls.. the perfect recipe for a yummy brunch! 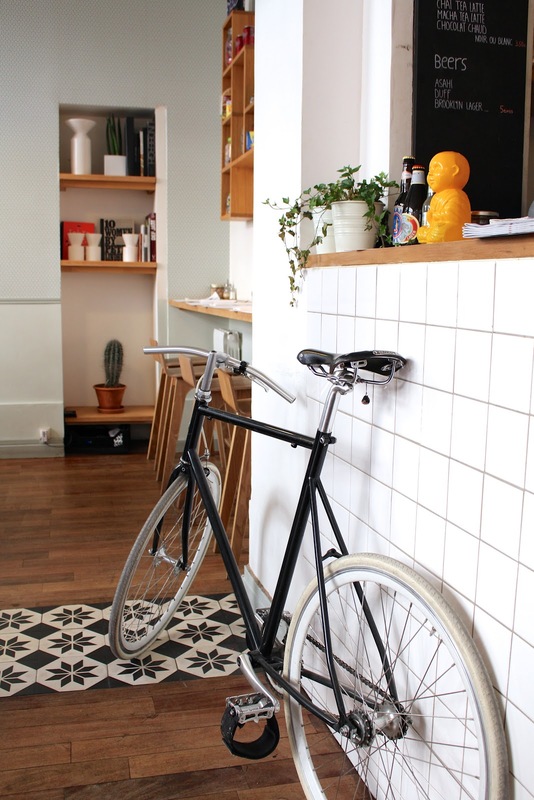 Upon entering the place you immediately feel the hipster vibe: a cool bike parked in the middle of the restaurant, Duff beer and American candy in the cupboards and guys in oversized white t-shirts and sneakers, serving up brunch to hungry Parisians. We got a table right away but by the time we left the place there was a long queue, we got lucky! 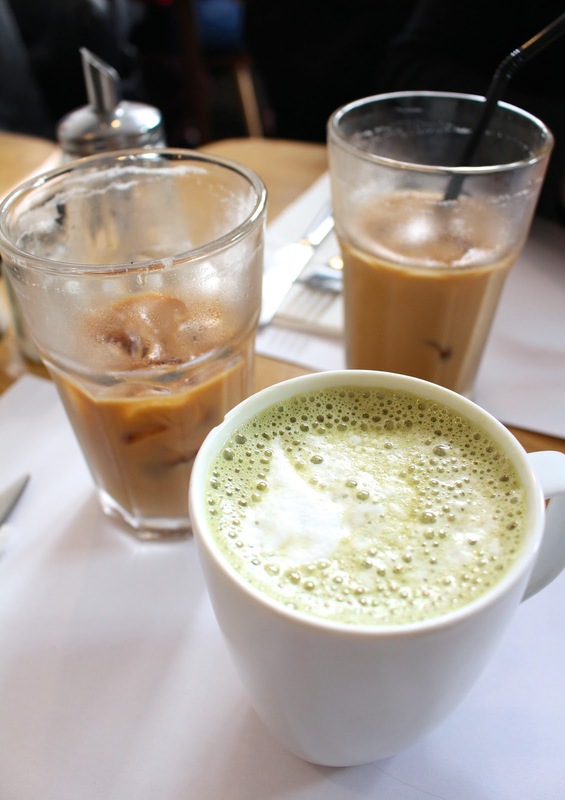 We ordered some ice cold iced lattes before deciding what we wanted to eat. 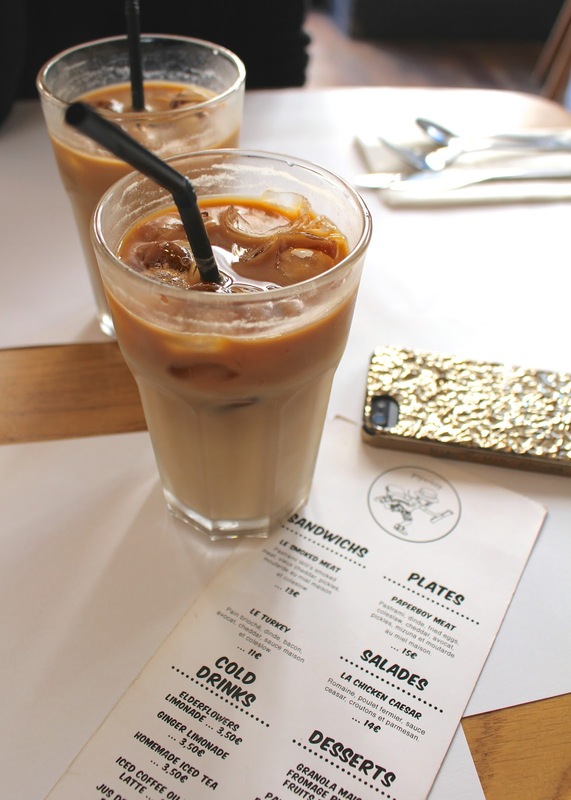 I asked the waiter if they could make a flat white but I got kind of a rude answer, so we just opted for iced latte. They were came in generous glasses and were just perfect so that made up for it! So we checked out the rest of the menu and found a lot more tastiness! Although there were plenty of tasty options, all three of us were craving an Açaí bowl so that was an easy order! We got three beautiful and tasty looking bowls. I was happy with the fresh fruit, even though it's not really the season for blueberries, strawberries and figs. 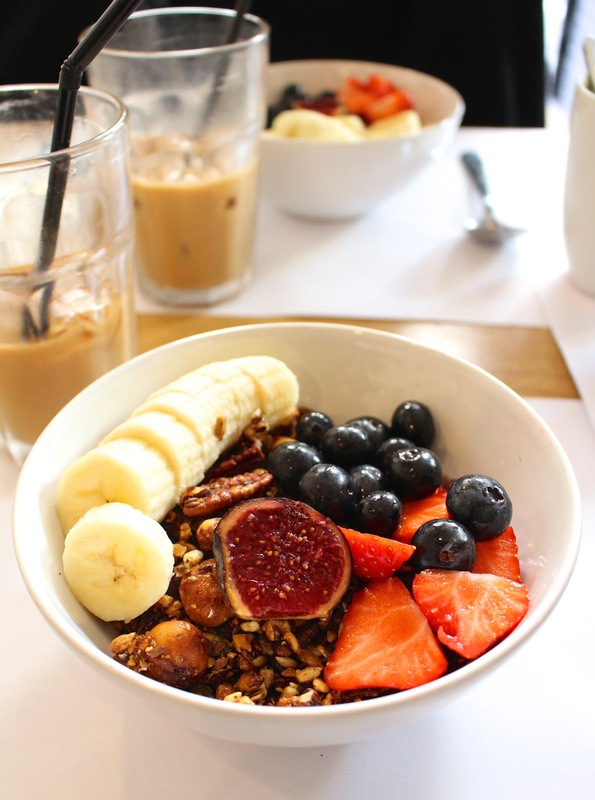 I always love some fresh fruit for breakfast! The granola was homemade and very crunchy, but slightly too sweet for my taste. The Açaí smoothie had a perfect texture and was ice cold, but overall the whole thing was just too sweet for me. Overall, I think our expectations from brunch at Paperboy were a little too high. From what we saw on Instagram, it looked like an amazing little American brunch place, but in reality it's a bit overhyped & overpriced, and the staff was not really friendly to put it nicely. A good example of Instagram versus Reality ;) A real pity, because this place seems to be very popular and I like the food and concept. The hotspots I try can't always be great, but I still wanted to share this review with you because for me it's important give my honest opinion! I hope they were just having an off-day. 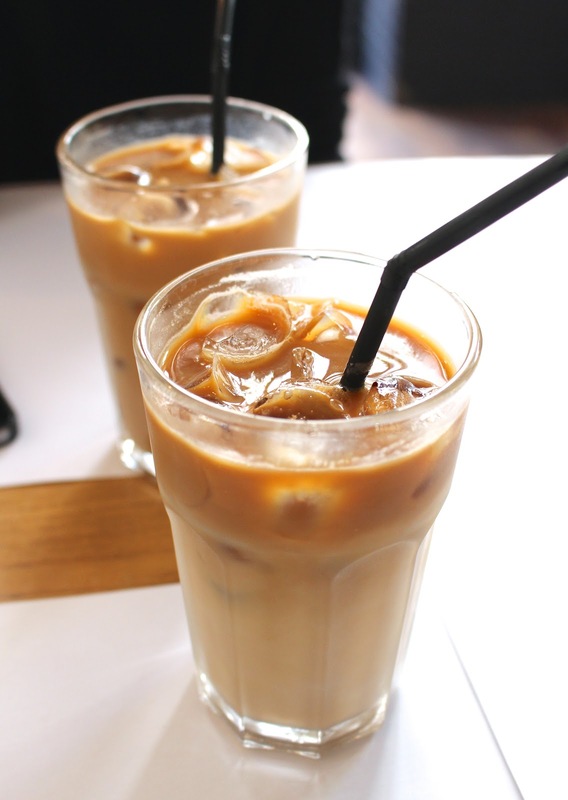 If you're still in for a good iced latte, check them out here.